Following your medication routine (known as medication adherence) means taking medications as prescribed – the right dose, at the right time, and in the right way. Non-adherence can lead to serious complications, even death. In fact, according to the Centers for Disease Control and Prevention (CDC), approximately 125,000 deaths in the United States are due to medication non-adherence. Further statistics show that medication non-adherence accounts for $100 to $300 billion spent each year for both direct and indirect health care costs. Tie taking your medications with a daily routine. Think about some of the routines that you have. Do you drink coffee in the morning? Do you read the newspaper at a particular time? Whatever routine you have, tie taking your medications with it. This will help make it easier for you to remember taking your medications. Note: If you plan to take your medications during mealtime, make sure to check with your doctor or pharmacist if the medication should be taken on an empty or full stomach. Pill boxes. 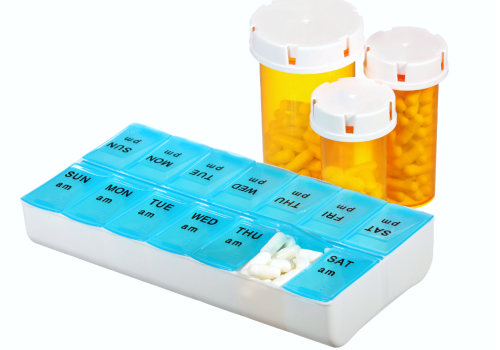 There are various types of pill boxes, some with daily, weekly, or even monthly containers. Some pill boxes even have morning, noon, and evening compartments so that you can segregate your medications according to what time they should be taken each day. Can’t remember if you already took your medication? Just double-check your pill box – if for example, the noon compartment is empty then that means you were able to drink it. If it’s not, then it means that you missed your dose for that time. Set electronic reminders. Your mobile phone isn’t just good for texting or calls; you can use it as an alarm too! Set appropriate reminders for when you should take your medications. You can also use other devices, such as tablets, alarm clocks, reminder watches, and more. Note: Not a big fan of electronic devices? You can still set reminders by writing your medication schedule on a board situated in a visible location, post-it reminders, and other methods. Talk to your family and friends. If you are living with a family member, you can ask them to remind you when it’s time to drink your medications. If you live alone, you can still ask your family and friends to call or text you with timely reminders. Talk to your pharmacist. Many pharmacies now offer compliance or blister packaging to improve medication adherence. Blister packs are similar to pill boxes; however, your medications are packaged and sealed into monthly cards. Another service offered by pharmacies is automatic prescription refills. While this isn’t a daily reminder, it can help you in the sense that, even if you forget to stop by the pharmacy to refill your medications, you no longer have to worry since the pharmacy will automatically do it for you.